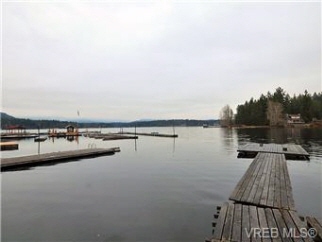 Description: One must appreciate this fine property as it offers many opportunities as well as waterfront dock,deep water unsurpassed summer fun and adventure.In heart of shawnigan lake, ideal for swimming and frolicking in lazy summer days of fun. Adults cherish it,children relish it....Sun all day! !Home is 1700 sq and all updated.Yes!!! New windows, lovely kitchen, gorgeous family room.Wood floors. Cozy wood burning fireplace csa certified. Over 1/2 acre lot. Grow anything!! There is lots of parking including separate single garage/work shop,detached 2 car carport.